We are proud to be a sponsor of this local football club, now in its 26th year. The club runs a development section for boys and girls aged 4-6 years, supports Active Luton with a weekly disability session for children & adults and runs 27 community-based teams for 6-18 year olds. Focussing on developing young people into becoming better adults, our current support is geared towards a new U18’s side, helping the boys transition between school and into adult life through football opportunities. The squad currently play in the Southern Counties Floodlight League. 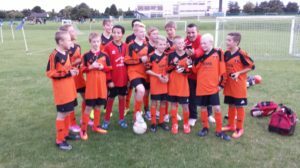 We are proud to be a sponsor and supporter of this small local club football club that caters for all ages from 8yrs to adult. 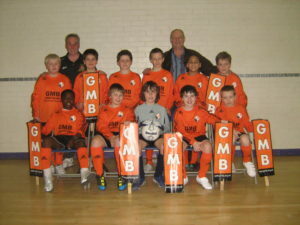 Competing in the Beds Mini Soccer League, Chiltern Youth League and Leighton Sunday League. We are proud to be a sponsor and supporter of this local club. It was set up back in 1997 by a small group of parents to run the Watling Lower School teams. Since then they have grown to the position where this season they have run 9 School & Youth teams with a total of 132 players, including boys now in the U18 team from the original school team back in 1997.